According to GSMArena, China had executed more than 10 million pre-orders for the new smartphone Samsung Galaxy S7 and Galaxy S7 Edge. And by March 18, when receiving pre-orders will be completed in the country, their number can overcome the 15 million. But it is worth considering that the pre-orders in China are more like expression of interest of users to the new product and the actual number of units actually sold may differ from the amount of pre-orders executed. Previously, we reported that in Europe the number of pre-orders for Samsung Galaxy S7 and Galaxy S7 Edge turned in two and a half times more than last year's Galaxy S6 and Galaxy S6 edge. Moreover, the share of models with curved screen with both sides had 61% of the total number of pre-orders. Samsung is also preparing to launch a smartphone Galaxy J3 2016 model year. One of the first to buy it will be users from Italy, Spain, Germany and the Netherlands, and then it will appear in other European countries. In fact, this smartphone a few months ago officially debuted in China. According to SamMobile, Samsung at the regional site in the Netherlands in the list of products appeared smartphone Galaxy J3 2016 model year. It was also seen in Italy and Spain. In Germany, local retailers have already opened pre-orders welcome to your new smartphone. Its price is 189 euros without a contract and bind to a specific mobile operator. 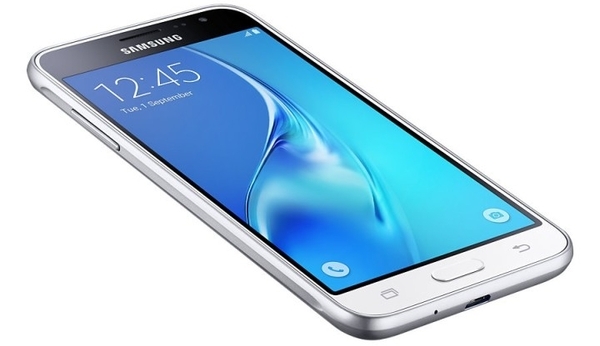 Samsung Galaxy J3 2016 resembles Galaxy J5. Its specifications include a 5-inch AMOLED-display, 1.5 GB of RAM and 8 GB of internal memory, a slot for MicroSD memory cards, 8-megapixel main and 5-megapixel front camera, and a battery 2600 mAh. Smartphone size are 142 x 71 x 7.9 mm with a weight of 138 g It runs on Android 5.1.1 Lollipop mobile operating system. Page loaded in 0.087 seconds.